Researchers at the University of British Columbia have synthesized a vaccine that may prevent the spread of West Nile virus in birds, a development that could help protect some vulnerable populations. Since the West Nile pathogen arrived in North America in 1999, it has infected more than 4,700 Canadians and killed 42. 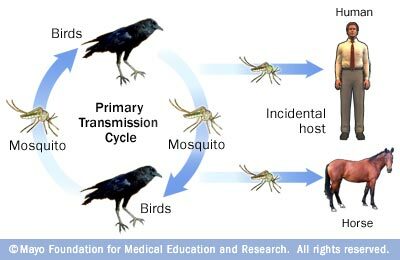 The virus is transmitted among wild birds by mosquitoes and an effective bird vaccine could perhaps be used to help protect some vulnerable bird species.”. “West Nile virus has been identified as a threat contributing to the extinction of some rare bird species,” says Joanne Young, a UBC vaccine researcher. Some endangered bird species like the eastern loggerhead shrike and California condor have proven especially susceptible to the virus, with mortality rates approaching 100 per cent in some cases.